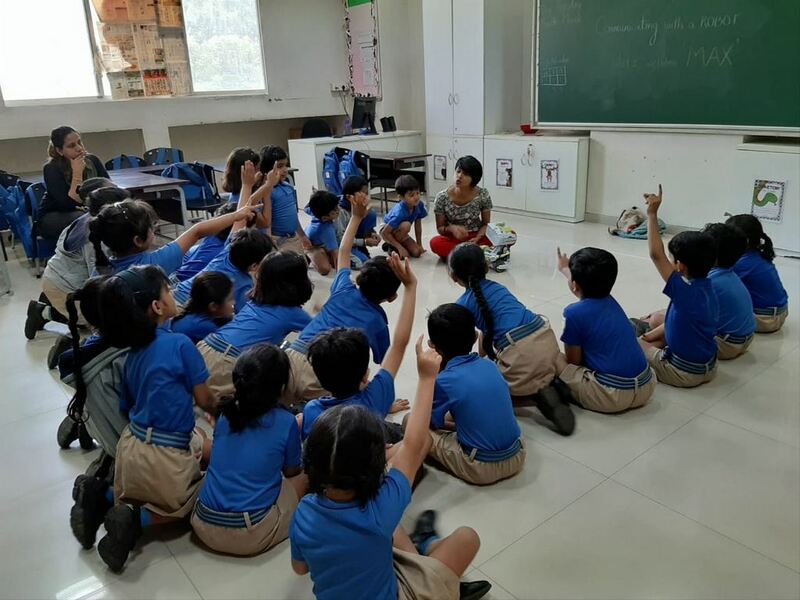 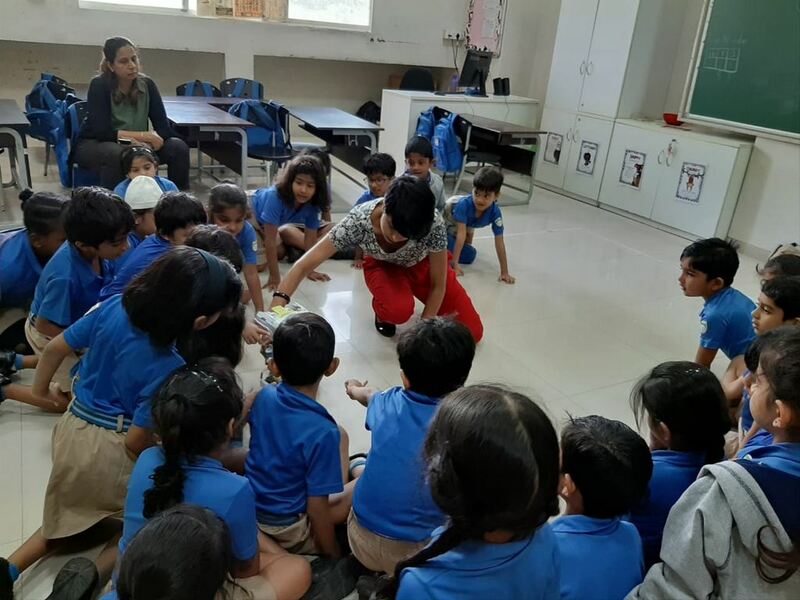 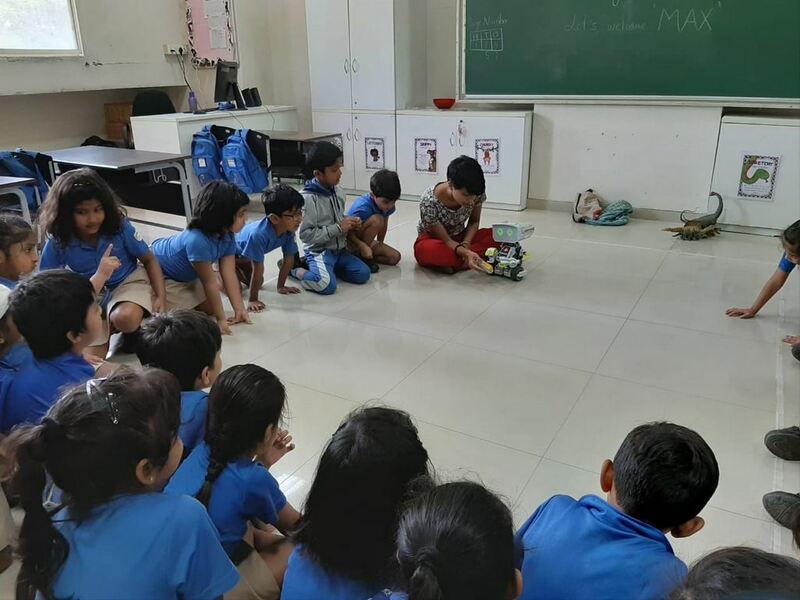 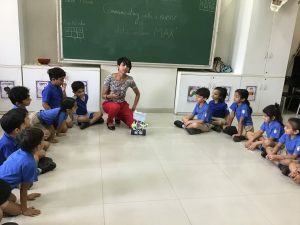 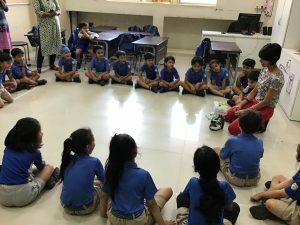 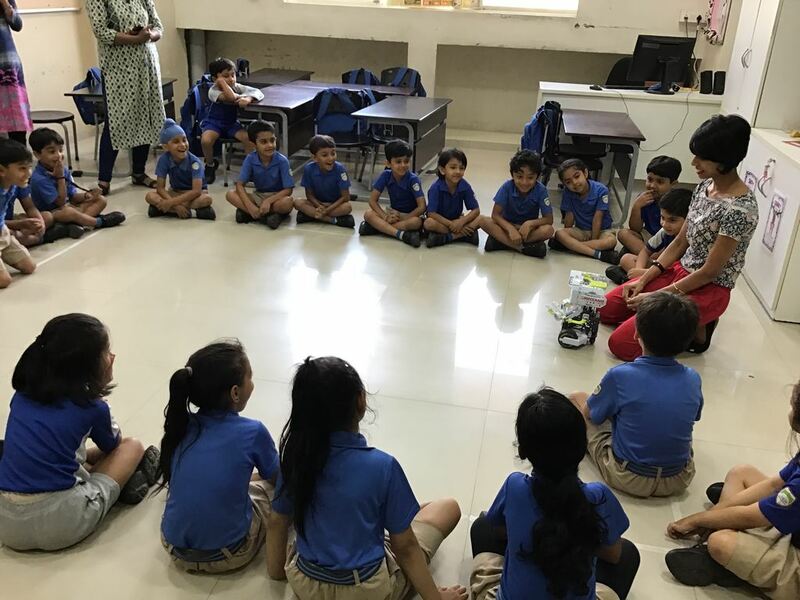 The Head of the Pre-primary section at JBCN Borivali, Ms Shubhra Irani conducted a session with the Senior Kg learners in the month of March wherein she introduced the learners to a Robot named M.A.X created by Meccano which is an interactive toy with artificial intelligence. 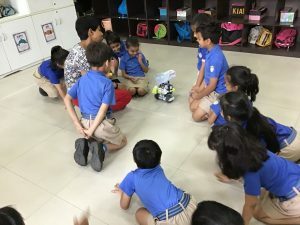 As a S.T.E.M robotics platform, M.A.X is designed to engage kids in intellectually stimulating play, drawing on their knowledge of science, technology, engineering and math. Not just a learning tool, this robot loves fun! The learners were so engrossed and excited to see how the robot works and tried to interact with it. 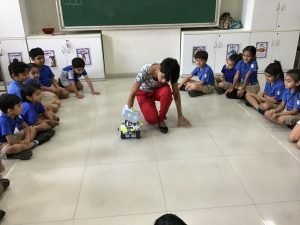 They could see different parts of the robot and its movements. They carefully observed the expressions/emotions that M.A.X emoted. They noticed that M.A.X could talk, dance, deliver an object and even be put off to sleep with the help of specific instructions and commands given to it. 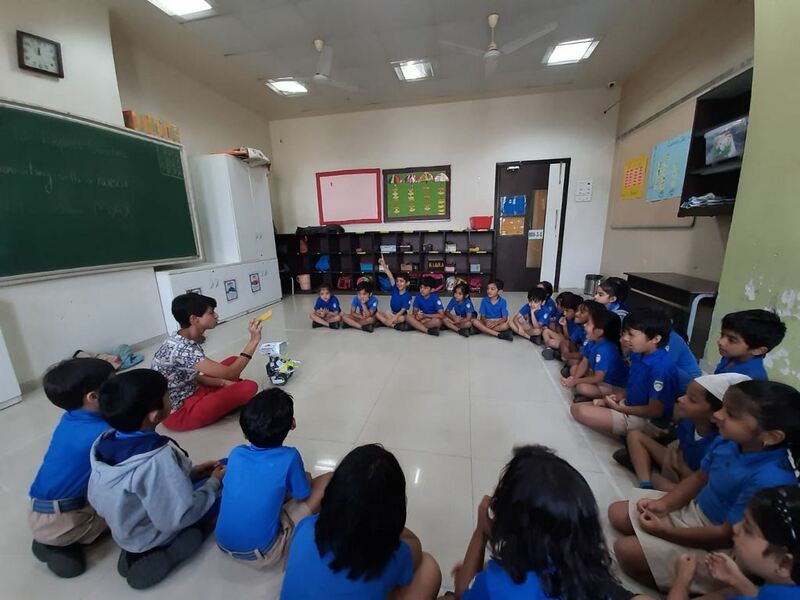 This session was connected with the learners’ thematic concepts of ‘How we express ourselves’ and ‘Communication and Inventions’. 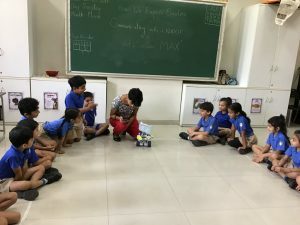 It set their imagination soaring high as they saw how mechanics and technology combined together to make M.A.X function. 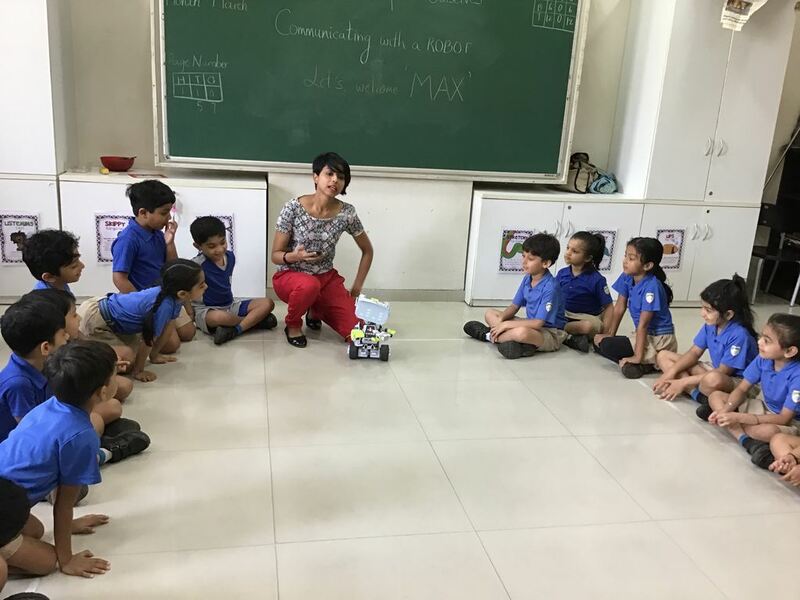 Learners took M.A.X as their friend and they keep asking about him daily after having interacted with it.